Maureen co-creates with teachers and children to paint murals in public schools, catholic schools, and colleges. 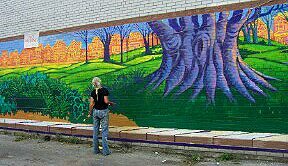 This art is custom designed to express, through the visual language, the school curriculum’s. 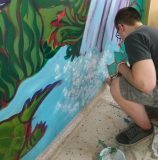 These co-created murals can be found warming the walls in rich uplifting colours!Though Maureen paints often in her home area of Ontario, she has also painted in Squamish, B.C. in Chicago, USA and in Canoa Cabrada, Brazil. 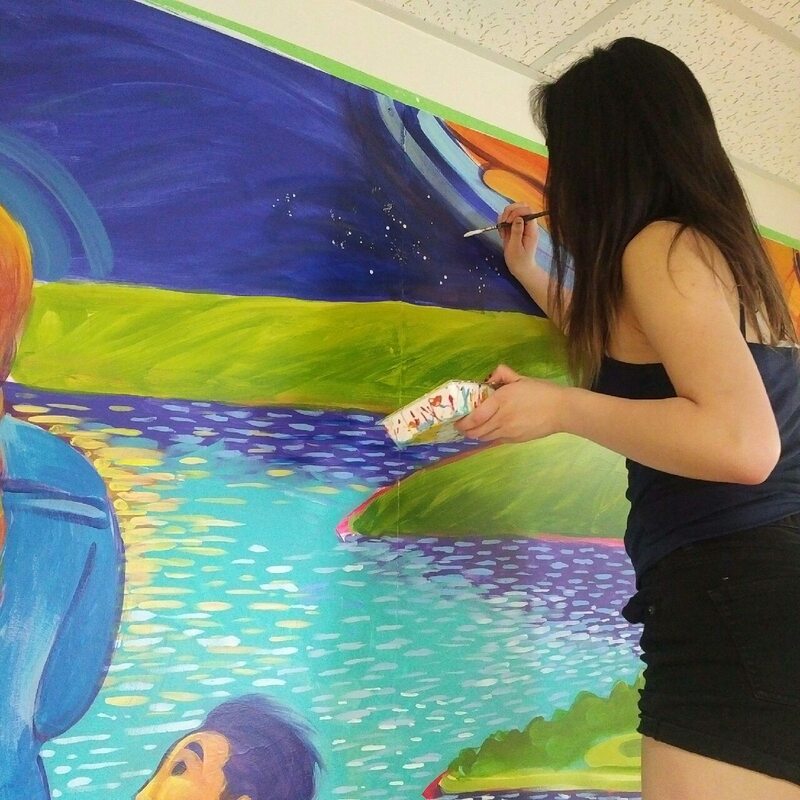 She is happy to travel with her work.When it comes to custom mural art, you can never be too careful when choosing the right school mural artist in Ontario.